With a humid subtropical climate the Gold Coast is a great place to visit at any time of the year. You will find the city welcoming and full of friendly people. Surfing and water are very much a part of life here, with many properties having access to the canals and coastline that is so popular. The Gold Coast has a fantastic 57 kilometres of beaches and a very impressive surf lifesaving service that is one the best in Australia. The Queensland Shark Control Program is in place to help keep beach users and surfers safe by netting sharks that venture into the waters off the major beaches. The Gold Coast isn’t just about surf and beaches though, as Australia’s fastest growing large city is has more than enough entertainment, night life and variety for everyone. This stunning city boasts more than 40 golf courses and no less than 5 major theme parks. With around 500 restaurants you will find a huge range of cuisines from all over the world and tastes to suit even the fussiest of eaters. Getting around on the Gold Coast is easy and public transport is readily available in the form of buses, ferries, trains and monorails. If you need accommodation make sure you search for a house sitting opportunity first, otherwise there are 5 star hotels right down to a backpackers hostel; there is something here to fit any budget. If you happen to find yourself in the area and want to escape the hustle and bustle for a day or two, head on over to the Hinterland for a day out in beautiful scenery and the chance to try bushwhacking or any of the other tours that are readily available. Have a go at catching crabs at Birds Bay Oyster Farm, or maybe you would prefer a spot of refinement? Cedar Creek Vineyard and Winery have a fantastic restaurant serving amazing dishes in lush settings. 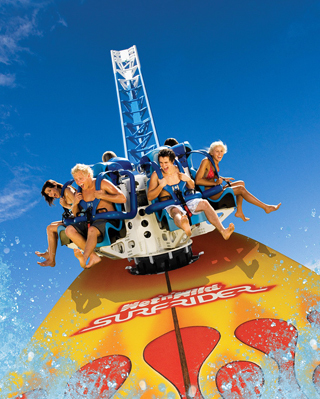 Adventure lovers will find themselves right at home on the Gold Coast and the range of activities are endless – choosing what to do or where to go next will be a problem as the Gold Coast certainly is a hard act to follow. There are aquaduck safari’s, hot air ballooning, fishing, walking and horse riding – just to name a few. There is also shopping galore and heady nights of top quality entertainment. We can’t see why you would want to go anywhere else! The Gold Coast has it all and more, and we think it’s a great place to explore, be a house sitter, take a break or live it up. You certainly won’t be disappointed!